The minimum routing cost tree problem arises when we need to find the tree minimizing the minimum travel/communication cost, i.e., the tree which presents the minimal difference with the same cost computed on the whole network. 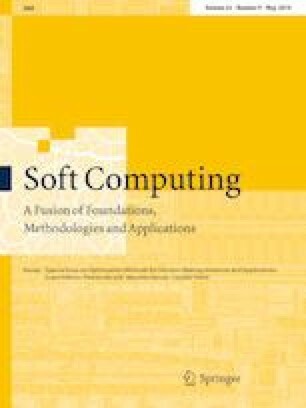 This paper provides the state of the art of the problem and proposes a new heuristic based on the identification of a core of the network around which the solution can be built. The algorithm has been tested on literature instances of up to one thousand nodes. The results, compared with those of other heuristic algorithms, prove the competitiveness of the proposed one both in terms of the quality of the solution and computation time. Adriano Masone declares that he has no conflict of interest. Antonio Sforza declares that he has no conflict of interest. Maria Elena Nenni declares that she has no conflict of interest. The research activity of the authors was partially funded by the Department of Electrical Engineering and Information Technology and by the University Federico II of Naples, within the OPT_APP for EPG project (Optimization Approaches for designing and protecting Electric Power Grid) and MOSTOLOG project (A multi-objective approach for Sustainable Logistic System, DIETI-ALTRI_DR408_2017_Ricerca di Ateneo). This article does not contain any studies with human or animals performed by any of the authors.